When you have to make an important decision, you do not want that decision to be based on fake news. Plus, sharing fake news can damage your credibility. Even the smartest people get fooled sometimes, but the more often you share information that turns out to be false, the harder it will be for your friends and followers (not to mention your teachers and employers) to take you seriously. The Macedonian teenagers are not, of course, the first people ever to spread fake news, and they won't be the last. Fake news isn't going away any time soon, and it isn't the only problem. 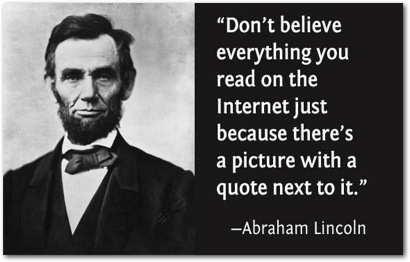 Information that isn't fake can still be misleading or misinterpreted. Think you know how to tell if something's fake? You might want to think again. In 2016, researchers at Stanford University found that when it comes to judging the credibility of online information, "otherwise digital-savvy students can be easily duped." Since the election, companies like Google and Facebook have taken steps toward reducing the amount of fake news on their sites. It's a start, but if you really want to avoid fake news and misleading information, you have to take some of the responsibility yourself. How? 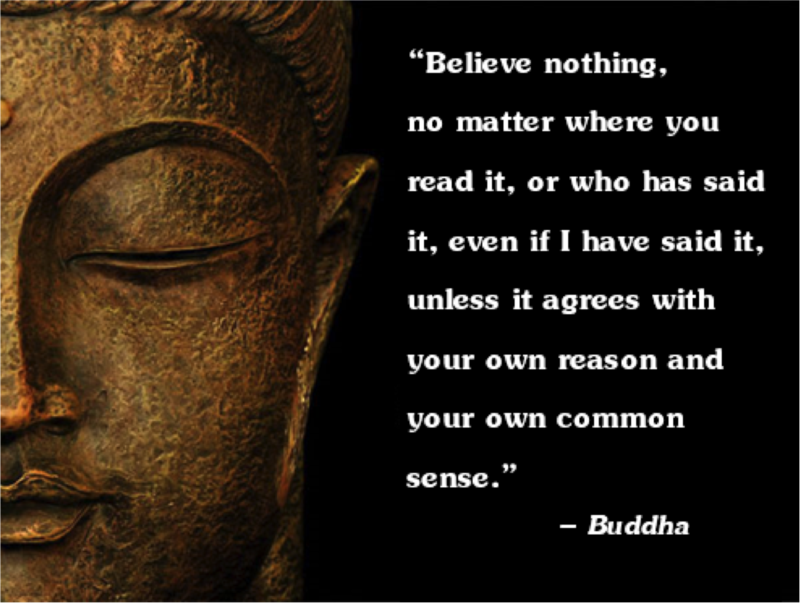 By learning to think critically about the information you encounter, and by taking the time to verify information before using or sharing it. The links on this page can help. 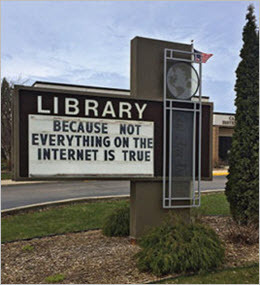 More than just a list of definitions, this libguide's glossary is enhanced with detailed explanations, examples, links, videos, and food for thought about fighting fake news. CRAAP (Currency, Relevance, Authority, Accuracy, Purpose) is a set of criteria for assessing the reliability of information sources. 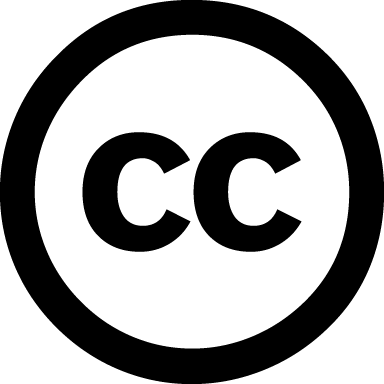 Developed by the Meriam Library, California State University, Chico. Developed by researchers at the University of Cambridge, this game puts you in the role of the fake news monger to help you understand how fake news spreads. The idea is that the more you know about where fake news comes from, the better you'll be at avoiding it. FIU Professor Fred Blevens' helpful advice includes knowing the difference between commentary and news coverage. This Tinder-esque game presents a series of articles and lets you swipe right for real or swipe left for fake to find out how good you are at detecting fake news. Developed by JoLT and the American University Game Lab. 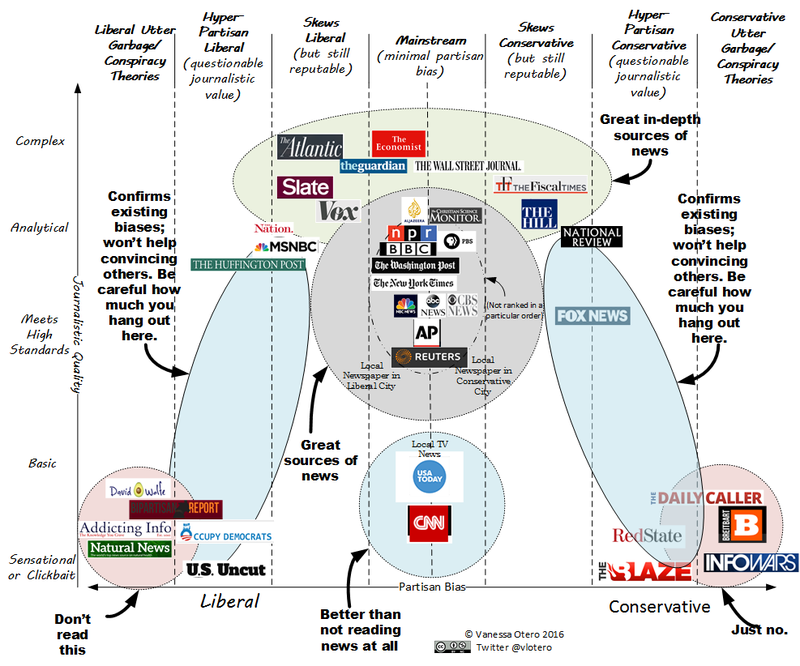 This now-famous list of websites also contains helpful advice for analyzing news sources. Compiled by Melissa Zimdars, Assistant Professor of Communication & Media at Merrimack College. 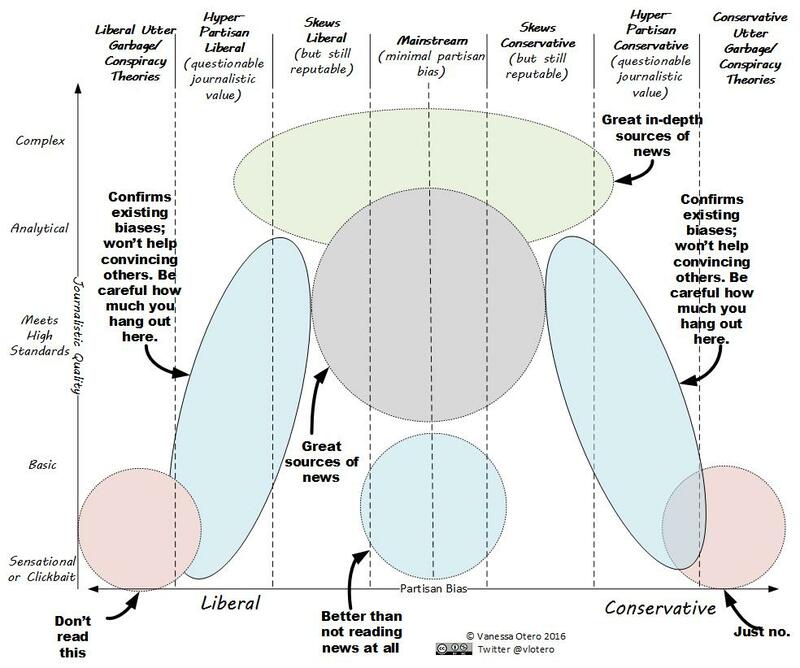 This detailed chart is patent attorney Vanessa Otero's view of where major news outlets fall on the partisan spectrum. Don't agree with her assessment? Her blank chart lets you rearrange as you see fit. This helpful guide by Michael Caulfield offers a number of practical techniques for getting to the truth on the web. ...take a moment to breathe. Too much news, real or fake, can lead to information overload, a situation where there's so much information coming at us so fast that we can't think straight. Here are some tips to keep from losing your mind, and some meditative music to help you relax. A project of the Annenberg Public Policy Center of the University of Pennsylvania, FactCheck.org is a "nonpartisan, nonprofit 'consumer advocate' for voters that aims to reduce the level of deception and confusion in U.S. politics." A website that debunks email and social media hoaxes and scams. "An independent online media outlet ... dedicated to educating the public on media bias and deceptive news practices." 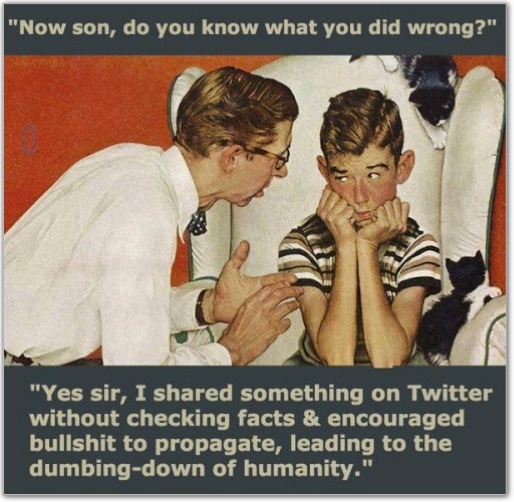 The site contains lists of media sources categorized as Left Bias, Left-Center Bias, Least Biased, Right-Center Bias, Right Bias, Pro-Science, Conspiracy-Pseudoscience, Fake News, and Satire, and also contains a list of 10 Best Fact Checking Sites. "A [Pulitzer-Prize winning] fact-checking website that rates the accuracy of claims by elected officials and others who speak up in American politics." The site is best known for its "Truth-O-Meter," which rates statements on a scale of True, Mostly True, Half True, Mostly False, False, or the lowest rating: "Pants on Fire." An independent fact-checking organization that researches the origin of rumors, urban legends, and memes. 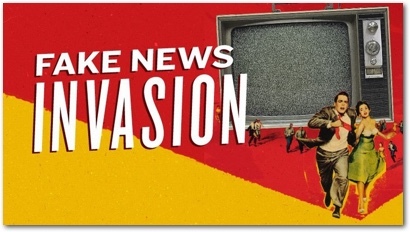 The site is best known for debunking false claims, and also contains a Fake News Archive and a Field Guide to Fake News Sites and Hoax Purveyors. A reverse image search engine that can help determine whether a photograph has been altered. Data on labor market activity, working conditions, and price changes in the economy. BE ADVISED: The browser extensions listed below are designed to alert you when the information you're seeing online is from a fake or questionable source. These tools can be helpful, but they should not be considered substitutes for doing your own fact-checking and critical analysis. Use with discretion. Contact your campus library Reference Desk. MDC students and employees have free access to over 100 subscription-based library databases. The following databases are useful for finding articles on news and current issues. 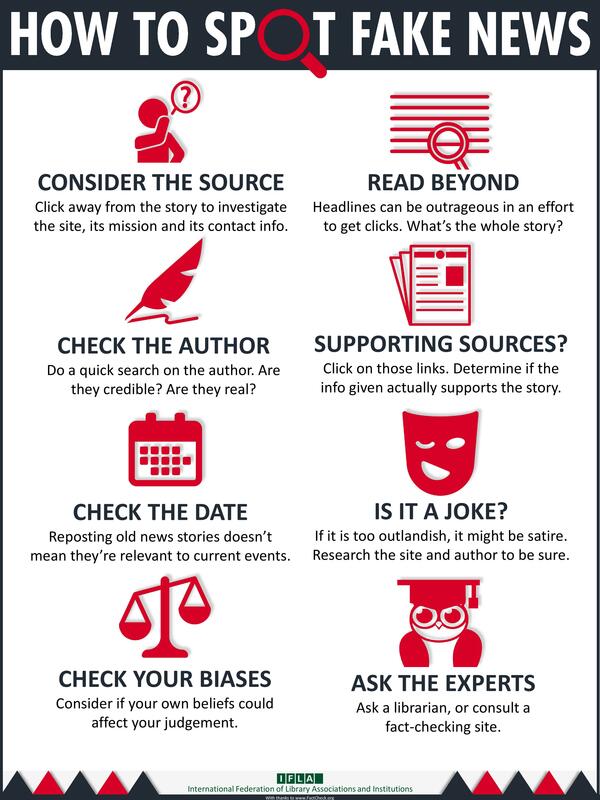 Want to learn more about fighting fake news and finding reliable information? LIS 2004 (Strategies for Online Research) is a one-credit course designed to help you use the internet more effectively. Contact a librarian for more information.